In 1999, the Bibliothèque Nationale (BN) in Paris established an archive of recordings of all the seminars Deleuze gave at the Université de Paris VIII between 1979 and 1987. The seminars had been recorded by various students on cassettes, which the BN converted into digital files. 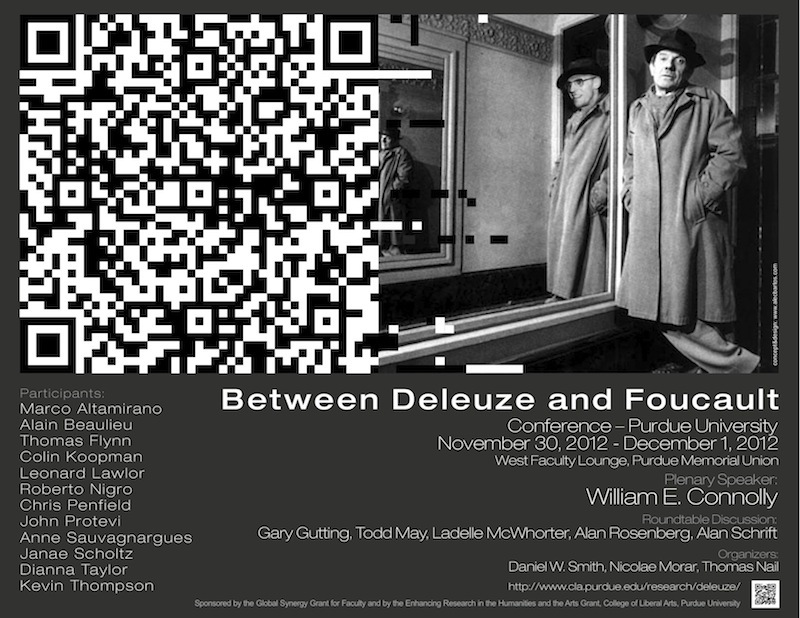 In 2011, the digital files of Deleuze's seminars on Foucault (1985–1986) were made available on the Internet. Through a grant from Purdue University and in connection with the Université de Paris VIII we are happy to present for the first time the transcribed texts of Deleuze's audio lectures on Foucault at our sister site, La Voix de Deleuze.